When water damage strikes, your proactive response can make all the difference in a successful remediation. When most people think of water damage, they tend to envision the most dramatic instance imaginable, such as flooding. However, the truth is that water damage can strike in a variety of forms. Even something as seemingly innocuous as a spill on the carpet or a small drip from a washing machine hose can be a potential catalyst if given enough time. In any case, while the forms of water damage vary, each can compromise a home’s structural stability and sanitation. Document the situation. Upon discovering water damage in your home, take some photographs to provide thorough documentation. Next, contact your insurance company to report the situation. When you file a claim with your insurance company for water damage, a claims adjuster will most likely come out and perform a thorough examination of your home. However, if the situation has progressed since you first discovered it, the adjuster might not have the full story. Providing timely, detailed photo documentation will give the adjuster more to go on when assessing your claim. Respond quickly. With water damage, the risks to your home and health increase as the clock ticks. 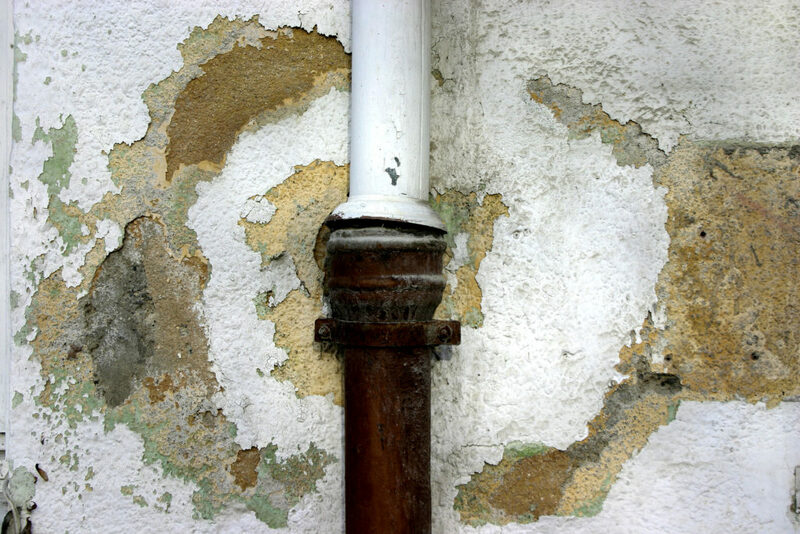 In addition to compromising a home’s structure, unattended water damage can result in stagnation, bacterial growth and molds, all of which pose health risks for those living within. For this reason, after taking pictures of the damage and contacting your insurance company, it’s imperative that you immediately contact a water damage restoration professional to remedy the situation. If you act fast, you may be able to significantly minimize the effects of water damage. In most cases, dealing with water damage should be left to a professional, but there are some cases where you may be able to handle it on your own. However, before getting to work, there are a couple of things you need to consider. First, if an area has become saturated with water, it might be necessary to shut off the adjacent sources of electricity and/or gas connected to the area. This is particularly important for areas of a home that aren’t fully insulated, such as a basement. If you have any doubts, call a professional to confirm whether it’s safe to operate electrical equipment such as a wet vac in a waterlogged area of your home. It’s also important to determine the type of water you’re dealing with. The water that has soaked your carpet may be dirty and unhygienic, especially if the source was an overflowing toilet or natural flooding, in which case there might be bacteria and fungi lodged within the fibers. Unsanitary “black water” can cause health problems if not dealt with thoroughly, so it’s vital to use proper protocol. If you have any doubt as to the source or type of water that has caused the damage, be sure to get an informed opinion from a professional before tackling the job yourself. Extract the water from the carpet by using either a wet/dry vac or some rags to absorb and displace the latent water. Keep in mind that a thorough extraction of water often entails pulling up the carpet and making sure no water is being harbored underneath the pad. After extracting all of the standing water, the next step is to apply a disinfectant to the area. Use a trusted product to ensure effectiveness; it may be worthwhile to call a carpet care professional to get the names of some of the better ones. Liberally spray the disinfectant on and underneath the carpet to ensure a thorough cleaning. Following the water extraction and application of disinfectant, make sure the area is thoroughly dried. Rather than waiting for it to air dry, it’s best to use equipment to artificially hasten the drying of your carpet and reduce the humidity in the area. A couple of large radial fans and a dehumidifier should do the trick in most cases. For each step, remember that thoroughness is key. Never hesitate to call a professional for an informed opinion. Even though dealing with water damage only involves a few steps, there are many details that can make or break the success of the repair. To find a Diamond Certified water damage restoration professional in your area, visit www.diamondcertified.org. Photo by Nino Barbieri, shared under a Creative Commons license.